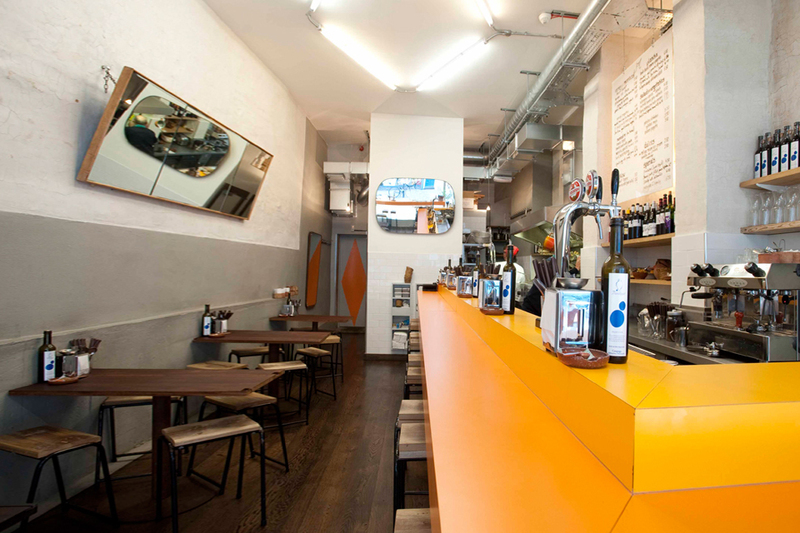 Morito is a tapas & mezze bar next door to sister restaurant Moro on Exmouth Market. We take bookings for lunch and dinner Sunday to Wednesday, and up to 6pm only, or after 9.30pm, from Thursday to Saturday. We keep a handful of tables available for walk-ins so please try if you cannot book. WAITLIST: If we’re full when you arrive, we’ll take a phone number and give you a ring as soon as we have room. With such a small space to work with, we generally ask that 2s sit at the bar, with the tables used for larger groups. You can book directly through our website, via Opentable, or over the phone. Please be informed that during our busiest times we only allow 5 people max to a table, you'll need to give us a call to see if we can accommodate a larger group. Morito gift vouchers are available here.